Rather than relying on carpet-bombing approaches like chemotherapy and radiation treatments, cutting-edge cancer cures are looking more towards a surgical strike, tailored to shutting down the mutations that are driving growth. And the secret weapon in that fight might just be a well-known Jeopardy contestant. 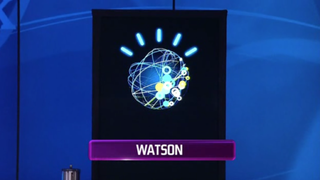 IBM’s Watson supercomputer rose to fame when it trounced two human Jeopardy contestants in 2011. And since then, it’s kept itself busy, as a chef, bartender, and even pseudo-doctor. Watson has even dabbled in cancer before. But the latest foray is the most impressive. Doctors from participating clinics will upload the DNA fingerprint of a tumor, and Watson will scour its memory banks, trying to work out which mutation is driving tumor growth, and what drug — approved or experimental — is best suited to attack the ailment, based on its knowledge of medicine, and the many clinical trials fed into its brain.